Working Nurses have access to all sorts of amazing benefits programs, like the NHSC NURSE Corps Loan Repayment Program, the NHSC NURSE Corps Scholarship Program, and the Perkins Loan Cancellation Program, and Doctors and Dentists get access to an amazing benefit via the NHSC’s Students to Service Loan Repayment Program, but now there’s also a benefit available to some of the most important people in the entire healthcare industry: Healthcare School Faculty! The HRSA’s Faculty Loan Repayment Program was created to encourage more working healthcare professionals to become Healthcare Faculty Members, which is actually even more beneficial to the general population than providing benefits to Healthcare Workers, since our Nurses, Doctors, Dentists and everyone else in the healthcare field is really only as useful as they’ve been trained to be! Sometimes abbreviated the HRSA FLRP, this benefits program is quite powerful, and definitely one to consider pursuing, as it offers up to $40,000 in repayment assistance for Healthcare Professionals who are willing to serve in eligible faculty roles in their area of specialization for a period of 2 years. 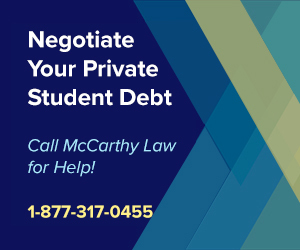 Allow me to introduce you to an incredible secret to getting rid of your student debt: the fastest and cheapest way to eliminate your loans is to pay an expert for help! 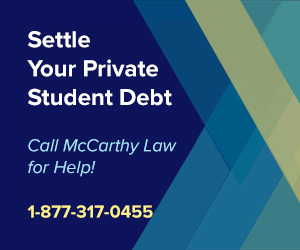 Student loan servicers don’t want you to know this because it costs them money, which is just one reason why you’ll find so many people online saying to handle everything yourself; they don’t want you to utilize the forgiveness, discharge, cancellation, refinancing or consolidation programs on offer, because it costs them money! But you do have to be careful about who you go to for advice, because picking the wrong company can cost you hundreds or even thousands of dollars. 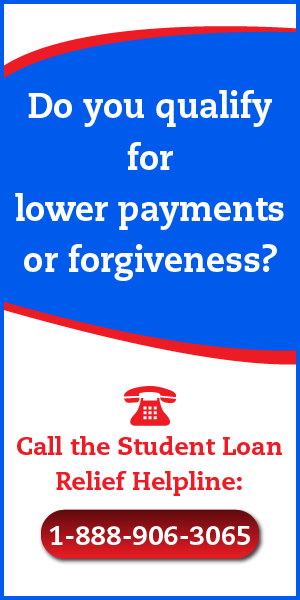 Fortunately, I’ve identified a company who I trust to refer my readers to: the Student Loan Relief Helpline. Experts at the Helpline will review your case then lay out a strategy for wiping out your debt as quickly and cheaply as possible for just a few hundred dollars. 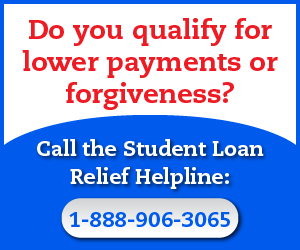 To get effective help with your student loans, call the Student Loan Relief Helpline now at: 1-888-906-3065. Don’t miss the fine print on the second bullet-point above though, because it’s a big deal. While the program promises $40,000 in repayment benefits, you’re only going to see your loans reduced by $24,400, since HRSA is going to withhold $15,600 of your $40,000 benefits and pay that directly to the IRS (to make sure you don’t end up having to pay any taxes out of pocket). Now, with that said, because of the program’s eligibility requirements, everyone should pay close attention because even with having some of your money withheld, it’s pretty nice to get $24,400 in forgiveness benefits just for two years of qualifying work, especially if you were going to become a faculty member at a healthcare school anyway! Now, let’s go over a couple of those details mentioned above more closely, so everyone’s perfectly aware of who exactly qualifies for these benefits. What is a “Disadvantaged Background”? When HRSA says that you have to come from a Disadvantaged Background to qualify for this program’s benefits, what they mean is that you must be able to provide a certification letter from your health professions school that identifies you “as coming from an economically or environmentally disadvantaged background”. Economically Disadvantaged people come from a family who’s annual income is below the low-income thresholds set according to family size and published by the U.S. Bureau of the Census, annually adjusted for changes in the Consumer Price Index, and used in health professions and nursing programs. Environmentally Disadvantaged people come from an environment that inhibits people from obtaining the knowledge, skills and abilities requires to successfully enroll in and graduate from undergraduate or graduate schools, again, based on a variety of different factors. How do you know if you’re economically or environmentally disadvantaged? The only way to be sure of it will be to contact your school, and request them to provide you with their specific requirements, then see if you fit those requirements. Personally, I find this to be a little overly restrictive, but I don’t set the rules for these programs, I just explain them. What Health Professions Degrees & Certificates Are Eligible? There’s a pretty big list of eligible health professions degrees and certificates, meaning that almost anyone who works in Nursing will be able to qualify for this portion of the eligibility requirements. So, as you can see, satisfying the degree or certificate requirement isn’t that hard, and opens this program up to just about anyone working in the Healthcare industry, which is excellent, because most of the time these types of benefits are limited to only a tiny portion of the general population. What Types of Health Professions Schools Are Eligible? The list of eligible Health Professions Schools is almost identical to the list of eligible certificates, but there are some subtle differences. Keep in mind that you don’t just have to be a Faculty member at a school offering training in one of the fields listed above, but that you also have to work full-time for at least 2 years, or part-time for 4 years at that school. And finally, that school must be located in a State or U.S. Territory, and it must also be an accredited, public or private non-profit school. One strange thing about the way FLRP works is that your school technically has to become a partner with you in this program, in that they’re willing to say they will pay the principal and interest for your educational loans in the same amount that the HHS will pay them. So, technically, the way the payments work are that the HRSA pays your school, and your school pays your loans, and you’ll have to get it in writing from your school that they’re willing to do this, otherwise you won’t qualify for the benefit. The only way out of that arrangement is if the school submits a request for a full or partial waiver of the match requirement to HRSA, and HRSA agrees to approve that request. To ensure you’ll receive your benefit, you’ve got to get this agreement from the school, which you’ll be required to provide to HRSA, and which will need to state that the school is willing to make a full match (if you want the full benefit) or a partial match (for a portion of the potential $40,000 total). 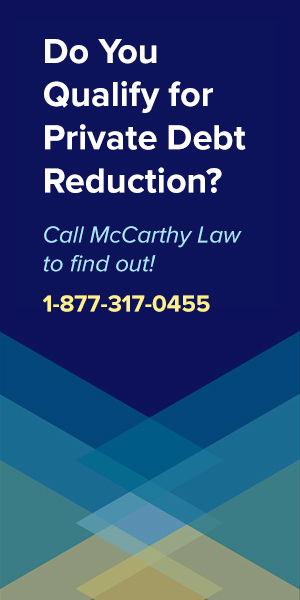 Now, it is possible to get the benefit even if the school isn’t willing to fund any of the money, but only if you can provide HRSA an official letter from the school requesting that their full or partial match requirement be waived because it would place an undue financial hardship on them. 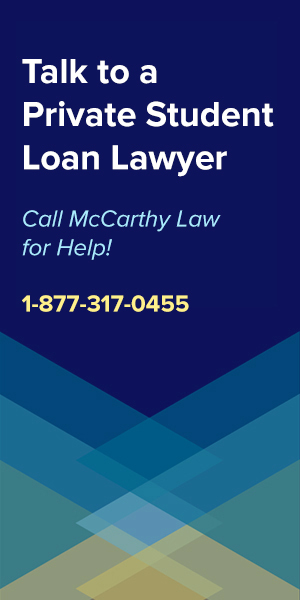 Have defaulted on any Federal payment obligations, like Health Education Assistance Loans, FHA Loans, Federal Income Tax Liabilities, Court-Ordered Spousal Support Payments, etc. like the National Health Service Corps Loan Repayment Program, the State Loan Repayment Program, the NURSE Corps Loan Repayment Program, etc. In a nut shell, you can’t have failed to finish any other Federal financial assistance programs, or have defaulted on any Federal loans or financial obligations. What Types of Loans Are Eligible for FLRP? Not all loans are eligible for FLRP benefits either, so you’ll need to pay close attention to the following requirements to ensure that you really do have a chance of qualifying for the $40,000 in assistance the program offers. Examples of qualifying loans include loans like Stafford Loans, Commercial Supplemental Loans for Students, Federal Perkins Loans that aren’t eligible for Cancelation, etc. All sorts of loans won’t qualify for this program, including any loans that you can’t prove were taken out to support an eligible health profession, loans that were obtained from family members or other sources not subject to Federal or State examination, loans that have already been fully paid off, Parent PLUS Loans, Credit card debt, loans subject to Cancellation benefits (Perkins Loans, Nurse Faculty Loan Program Loans, etc. ), or loans made after your qualifying health professions education was completed. Like I’ve mentioned above, your employer must be an eligible “Health Professions Institution”, and they’re going to have to complete quite a bit of paperwork to ensure that you’ll be eligible to actually receive your benefit. These are some of the most complicated requirements in the process, so for additional details on them, I recommend that you look at the official program application form here. After you complete all the application processes, then HRSA will contact you to let you know whether or not you’ve been selected TO BE ELIGIBLE FOR THE BENEFIT. Note that HRSA gets more applications than they can fund each year, so they don’t approve everyone who requests funding, and simply being notified that you’ve been selected does NOT mean you’ll receive the benefit, but means that you will receive it IF AND ONLY IF you satisfy all the program requirements. 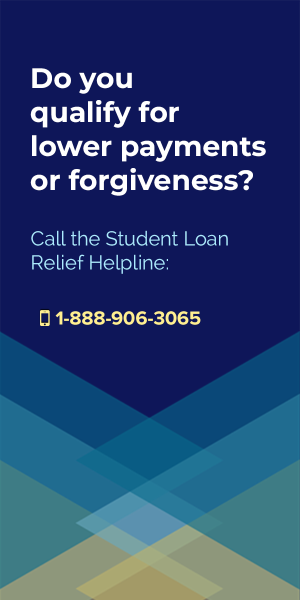 It may sound scammy, but the reality is that the IRS is insane about student loan forgiveness benefits, as they consider all Loan Forgiveness Benefits to be Taxable Income, meaning that they require you to pay taxes on whatever amount of money you receive when filing your taxes. And that’s a big deal, because many people who receive Federal Student Loan Forgiveness Benefits don’t realize they’re going to have to pay taxes on the money, and end up being faced with a huge tax bill the year they receive the funding. As a quick example, let’s say you receive $10,000 in loan forgiveness benefits in 2017. The IRS will require you to list that as part of your taxable income for the year, and to pay taxes on that $10,000, at your normal income tax rate. Most people pay about 20-30% in taxes, so getting that $10,000 in forgiveness would mean you’d owe the IRS about $2,500 to $3,000 in additional taxes for the year, and if you’re like most Americans, you probably don’t have that kind of money just sitting around. Because student loan forgiveness is becoming more and more popular each year, I’m certain that we’re building toward an eventual IRS Debt Crisis, just like we’ve faced with the Housing Crisis, Credit Card Crisis, Medical Crisis, and now Student Loan Crisis, so I’ve created a new website to help anyone facing terrible IRS problems, called Forget Tax Debt. 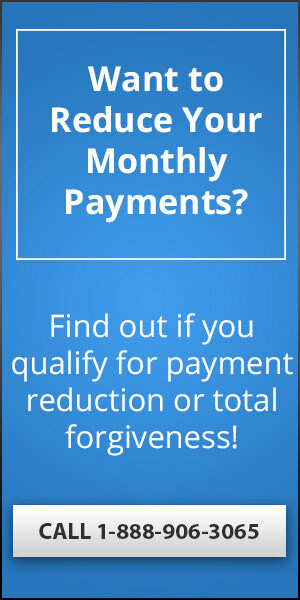 If you’re struggling to pay back money you owe to the IRS, then you should visit Forget Tax Debt, as I’ll teach you how to do things like Apply for IRS Debt Forgiveness, Reach an IRS Tax Debt Settlement, and Sign Up For the IRS Fresh Start Initiative. How Much Taxes Will I Owe From the FLRP Program? Just to make things crystal clear, one of the big benefits to HRSA’s Faculty Loan Repayment Program is that they’ll take your tax liability into account when distributing your loan repayment benefits, sending a portion of the $40,000 you earn to your loan servicer, and another amount to the IRS to cover your tax liabilities. I think they’re overwithholing, since they claim that they’ll distribute 39% of the benefit directly to the IRS, but I’m sure they’re just thinking they want to overpay to make sure you don’t end up with any out of pocket costs, and by overpaying, you’re virtually guaranteed to get at least a little bit of that money back in the form of an IRS refund at the end of the year (as long as you pay the right amount on your normal income taxes!). 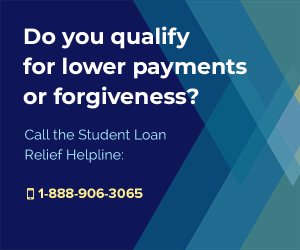 To make the numbers clear, that means you’ll receive $24,400 in actual loan forgiveness, while $15,600 of your benefits will be sent to the IRS. There’s all sorts of other legal language in the official program brochure, so I recommend that you check it out by downloading it here. I built this site to help people Get Rid of their Student Debt Without Paying for It, and I’ve created over 100 different Guides on different parts of the student loan debt repayment process. To help you figure out how to handle your loans and get rid of them as cheaply as possible, please make sure to look at some of my other Guides! 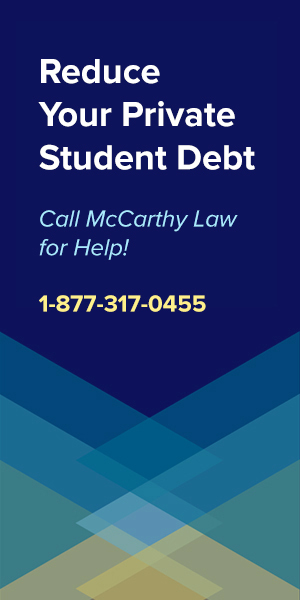 If you have any other questions about how to deal with your student debt, please feel free to post them in the Comments section below and I’ll do my best to get you a response within 24 hours. 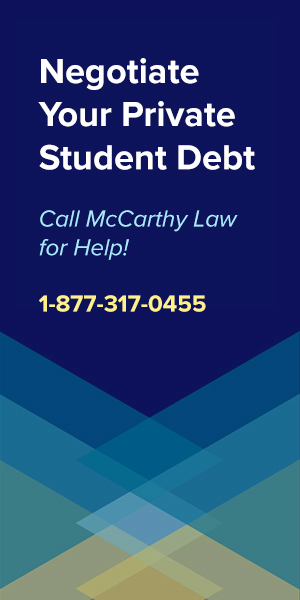 As you can imagine, producing this sort of detailed, comprehensive content about a complicated topic like the HRSA Faculty Loan Repayment Program is no easy task, and it takes me a great deal of time to type up these guides, answer questions about the benefits, and ensure that I’m sharing the latest details with all of you. If you found this page to be useful, then please consider helping me out by sharing a link to it with your friends, family or colleagues. Post it on Twitter, Facebook, your Blog, or Email it to the people you know who’d be interested in the information found here. The more people who visit the site, the more time I can spend on it, and the more useful it’ll be to you and the wider community of people working to reduce their student loan burdens.